Allen West: "I’m a warrior and I’m a statesman" Also A Lunatic, Crybaby and LOSER! 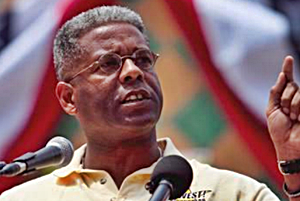 Home/Featured/Allen West: “I’m a warrior and I’m a statesman” Also A Lunatic, Crybaby and LOSER! “The most important thing everyone has to understand is my voice is not going to be lost. We’ve gotten a lot of opportunities, a lot of offers, and we’re going to make sure we continue to have that platform. […] I’m a warrior and I’m a statesman and I’m a servant of this republic. I’m not going away just because of a congressional race where he seems to have to cheat to beat me.” – Soon-to-be former Rep. Allen West, on Mark Levin’s radio show. No Mr. West, you lost because you cared more for a false ideal than your country. Spare us the crying. You and the rest of the ‘baggers” will soon be history.